very nice with equally fascinating picture! thanking you for the valued comment. 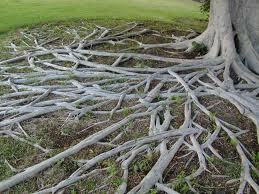 Roots search for water and perhaps each other too . Lovely words and photo!